Cartier is not a brand I normally cover during SIHH. But recently, as recent as a few years ago, they started to get serious about haute horology, with the appointment of Carole Forestier-Kasapi, the brand has taken leaps and bounds to cover the high end watchmaking scene. Cartier is a juggernaut. A powerhouse. Their booth in SIHH takes almost the entire corner of the PalExpo. It includes presentation rooms, a mini museum, and a huge display area showcasing their latest works. Known for their prowress in jewellery, where they are at the very top of the heirarchy, their inroads into high end watchmaking is making a comeback. 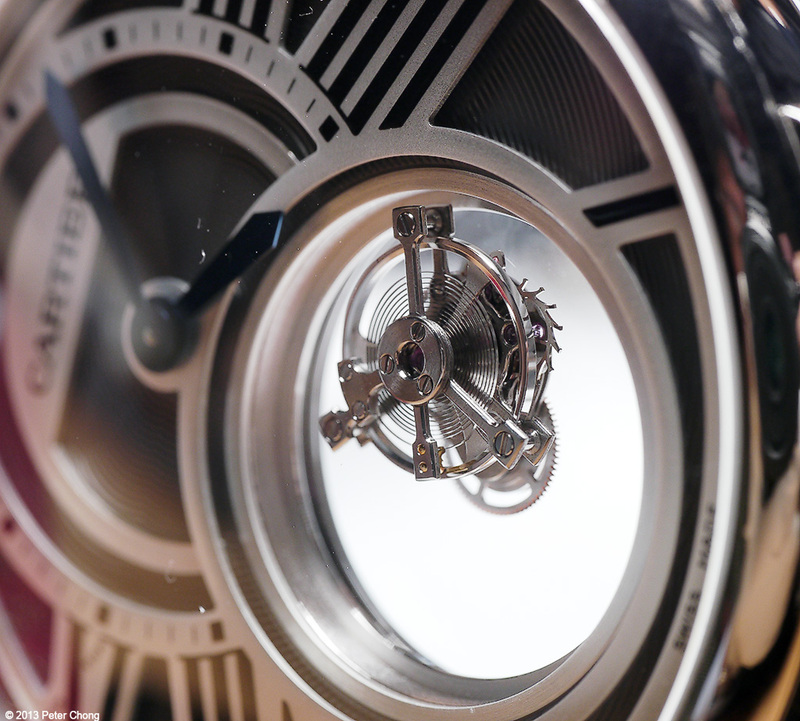 Today I will feature a concept which is associated with Cartier, and made into a wristwatch...the mysterious watch. 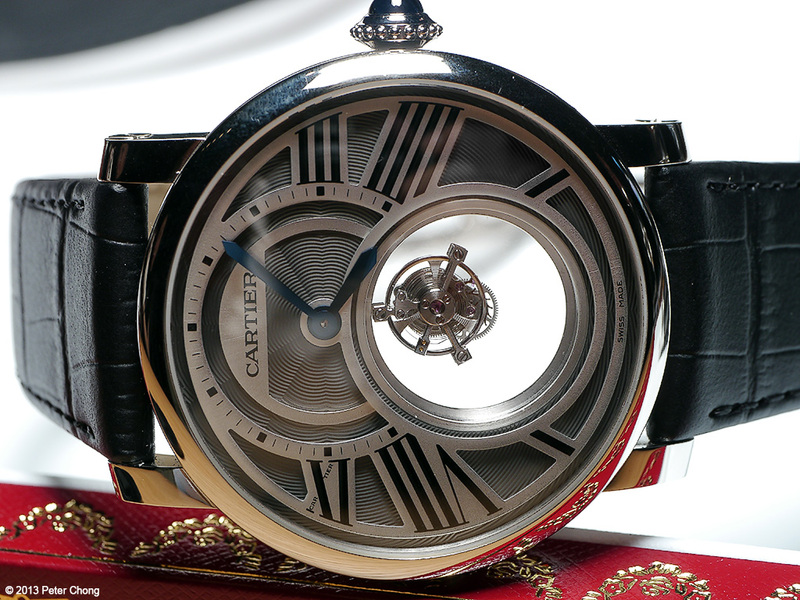 By no means Cartier is the first to make such a watch. Others have tried to fabricate watches which somehow suspend the timetelling hands in space, alledgedly unconnected to any mechanism. Though, the trick is to use flawless transparent glass to transmit the power from the drive train to the hands. Their inspiration is of course the mysterious clocks they made some 70-80 years ago. Shown above is the Rotnde de Cartier Mysterious Hours. The movement side is also interesting as the wheels also seem suspended in space. Interesting piece. Perhaps more interesting is the Rotonde de Cartier Mysterious Double Tourbillon...one cage making the usual 1 revolution a munute, and a sapphire disc, carrying another cage makes one revolution every 5 minutes. 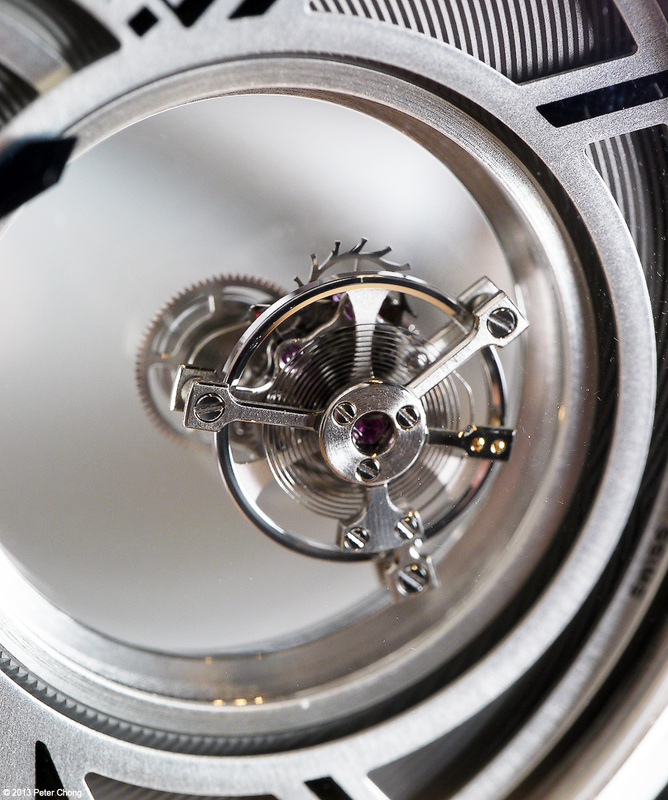 Even with close examination, the tourbillon seems to float in space. Quite mesmerising.